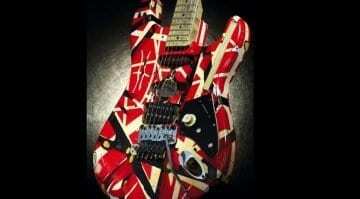 9 Results for "Eddie Van Halen"
A major new rock and roll gear show at the Met in NYC called "Play It Loud: Instruments Of Rock And Roll" will include equipment owned by Page, Moon, Clapton, Emerson and EVH. 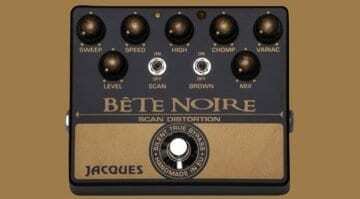 When does the 'Brown Sound' get too, well, brown? Guitar tone chaser Joan Segeborn has taken an old Marshall head and cabs and run them through a Variac, taking us brown sound tone adventure. 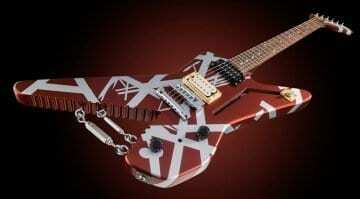 A cool modern-day recreation of Eddie Van Halen’s famous striped guitar from the Van Halen World Tour back in 1978. 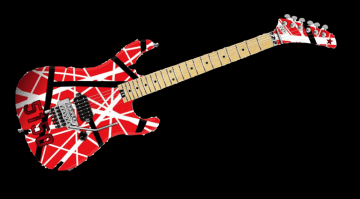 Will you be able to catch the EVH Striped Series Shark and make it rock? 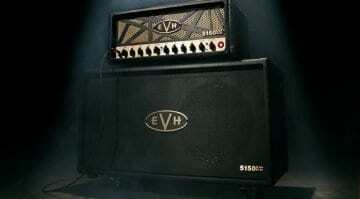 Eddie Van Halen turned the guitar world upside down in '78. Now EVH celebrates the 40th anniversary of THAT debut album with three new versions of the infamous black and white Strat! 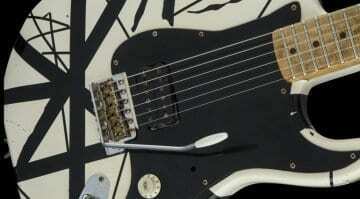 Eddie Van Halen’s original $100k FrankenStrat stolen! Eddie Van Halen's iconic striped Franken Strat has been stolen whilst on display at the Hard Rock Cafe in San Antonio USA. 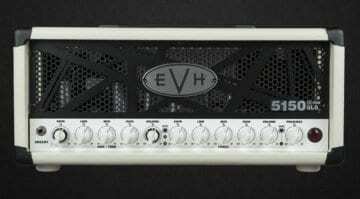 NAMM 2017: EVH 5150, Wolfgangs and 5150III 15-Watt head – a mini eruption, baby! Eddie's iconic striped, 'banana' headstock 5150 shred machine has been revealed for 2017. So hot, it'll have your ice cream man melting!